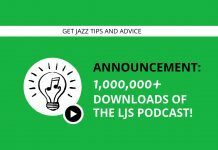 Welcome to episode 125 of the LJS Podcast where today we sit in on a coaching call with 30 Steps to Better Jazz Playing course alumni Francis Belanger. Francis took our jazz practicing course last year and Brent checks up on post-course life. Listen in! One of the great pleasures of being a music teacher is getting to hear from students on how they are doing both in life and music. Hearing stories of student success, on any level, is a big motivator for me. Today on the podcast, I have a coaching call with a former student of my jazz practicing course, 30 Steps to Better Jazz Playing, Francis Belanger. 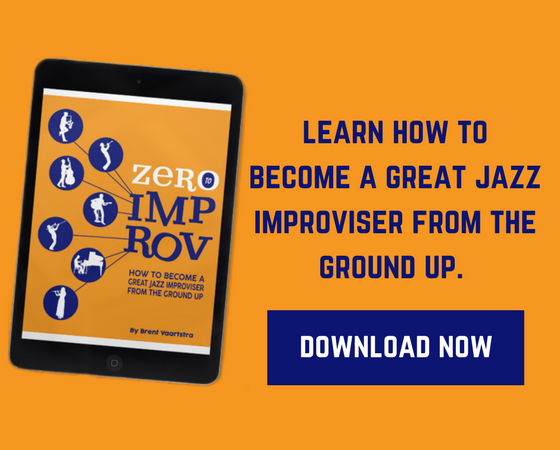 Francis is a chef who lives in Quebec, Canada, and he took 30 Steps to Better Jazz Playing because he wanted a structured practice plan to help guide him towards his jazz performances goals. It was fun getting to know him better, what his goals are, and what some of his musical struggles are in the post-course life. Francis’ story and how he got into music. Why Francis decided to take 30 Steps to Better Jazz Playing. Francis’ struggle to maintain structured practice post-course. A challenge for Francis to hold him accountable. I love doing stuff like this, and I think we can all learn a lot by listening in to other student’s coaching calls because we can all relate. Francis absolutely crushed it on 30 Steps to Better Jazz Playing and I’m looking forward to checking in on his progress in the future.